It’s Friday! On this rainy Friday I’d like to brighten it up a little with Disney! As you may recall, I was super excited to see the live action of Beauty and the Beast earlier this year. The film was perfect to watch if beauty and the Beast is one of your favourite movies. The film stayed true to the original while adding in some twists and turns such as a back story for Belle’s mother and a few new songs. The costumes and sets were beautiful. My favourite scene is the opening scene. I loved watching Belle sing through her French town and her indignation over Gaston’s attempts to court her. If you still haven’t seen this movie, now’s your chance! 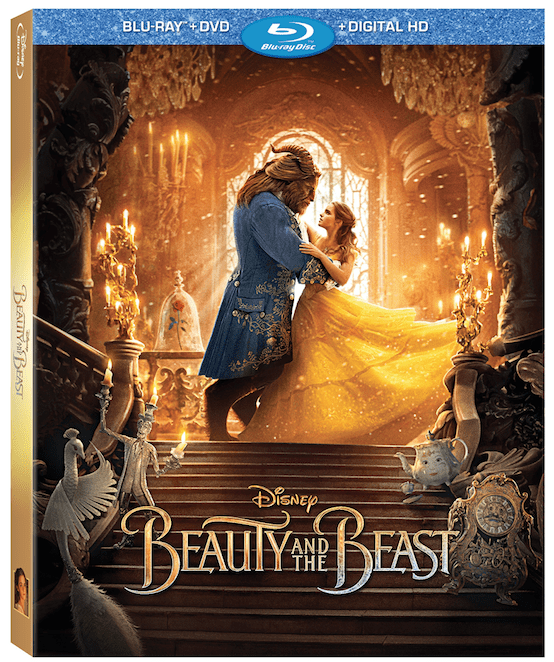 I’ve teamed up with Disney to give one lucky winner a copy of the Beauty and the Beast DVD packed the extras. The winner will enjoy three ways to watch the movie – the original theatrical cut, the premiere cut with overture, and a musical experience with a sing-along version. The release invites viewers to get up close and personal with the filmmakers and cast to see how this beloved animated film was transformed into a new live-action classic, from the first enchanted table read to a fascinating look at how the film was brought to life utilizing lavish sets, elaborately designed costumes and props, and state-of the-art technology. A feature on the amazing women behind the enchanted tale hosted by Emma Watson; and over 10 minutes of deleted scenes along with musical extras, including the “Beauty and the Beast” music video starring Ariana Grande and John Legend, Celine Dion’s heartfelt take on the new song “How Does a Moment Last Forever,” and jump directly to all you favorite unforgettable songs. Sounds awesome, right? To enter, please see below. The winner must live in Canada.